CBSE HAD implemented ‘uniform system of assessment, examination and report card’ for students of classes 6 to 9, replacing the continuous and comprehensive evaluation (CCE) scheme from the academic session 2017-2018. 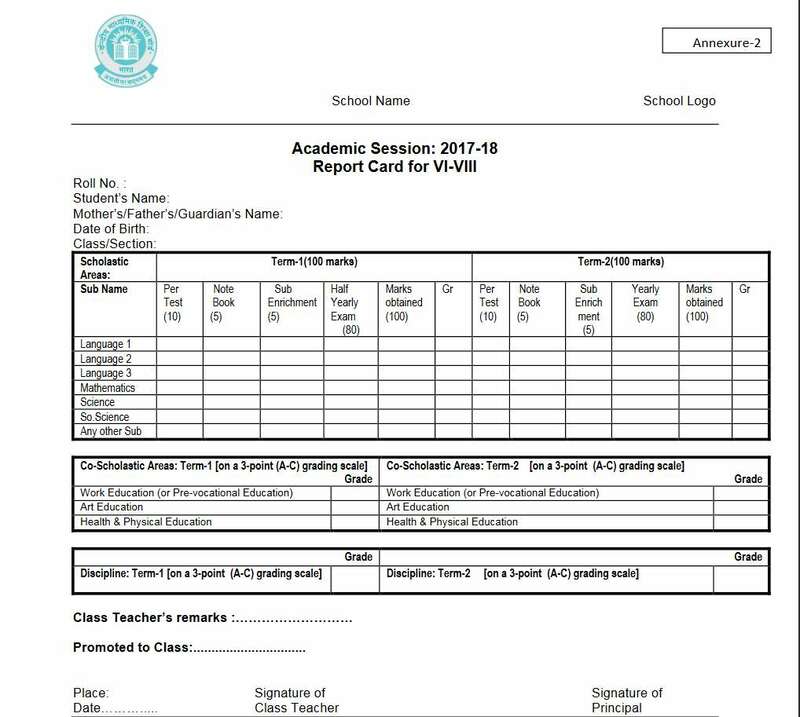 All CBSE affiliated schools will need to follow this format from the academic session 2017-2018, as per a circular dated March 21. Why CBSE implemented Uniform Assessment System ? When CBSE introduced CCE, the purpose was to evaluate a child thoroughly not only the basis of his/her writing skills. 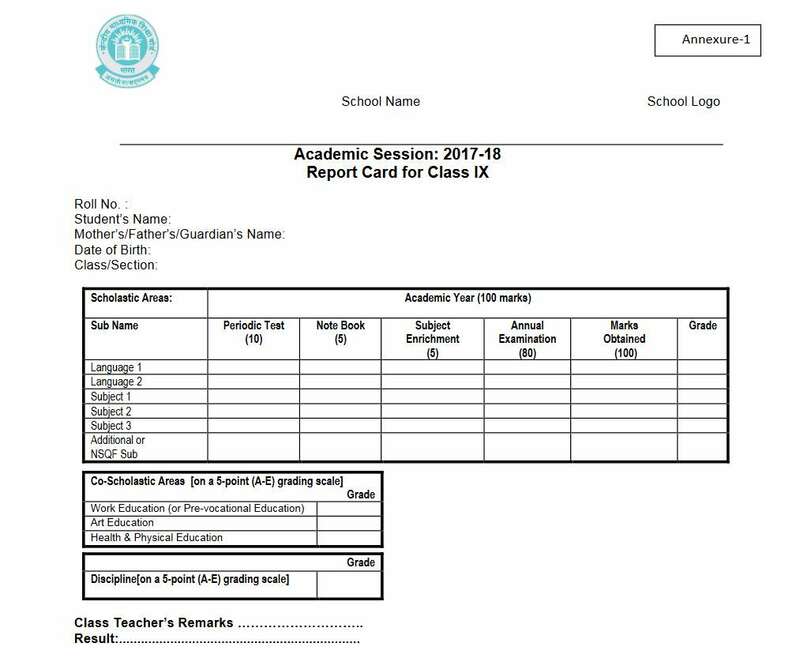 The ideas was very much defeated from the first year of the implementation of the system when Schools start providing random and fake grade to their average students, The students also see this pattern in their report cards> They realize that whatever they are doing is not actually reflected in their cards but to save their skins teachers start awarding them random grades. This leads to a chain-reaction in the sociaety that our students can not be detained by the new education policy and thus the scenrio of the education in India become worse by each passing day. In 1962, there were 309 schools in India under CBSE, while at present, the Board has 18,688 schools affiliated to it, most of which follow varying assessment and report card patterns. This brings in the need to have a uniform system of assessment and evaluation of students and remove any sort of disparity in the system that creates problems for students needing to migrate from one CBSE school to another. The teachers, educationist, parents and all the stack holders thus realize that this way the future of their wards are now on stack and something must be done to retain the faith in our own education system and thus raise the voice to retain the old method to evaluate the people. To make students more confident about facing the Class 10 board examinations when they join the upper-primary stage in Class 6, we have decided to implement a uniform system of assessment, examination pattern and report cards…” said CBSE chairman RK Chaturvedi. Students of classes 6 to 8 will now follow a uniform assessment scheme with a two-semester system that will include half yearly and annual examinations. if a student fails in half yearly examination system, then the school has full power to deny him to take his/her final examination. Unless untill student pass in his half yearly examination. The Examination pattern and report card patterns for class 9 students will be similar to that of class 10 Board students. Every semester, two 10-mark tests or periodic assessments will be conducted for classes 6 to 8. The half yearly written examination will carry 80 marks. 10 marks will be awarded for the subject related activity like projects. A brief overview of this scenario is depicted in this image. The Schools need to follow NCERT syllabus in the upper primary classes. Though they can suggest some additional reading material if required. Students of classes 6 to 8 will need to study mathematics, science and social science, along with three languages and one other subject. This is most important point : In classes 6 to 8, the annual exams will be based on the syllabus of the second half of the year, along with a certain percentage of the half yearly syllabus. For class 6, 10 per cent of the half yearly syllabus will be included in the annuals, while for classes 7 and 8, the percentage of half yearly syllabus to be included in the final examination is 20 per cent and 30 per cent respectively. 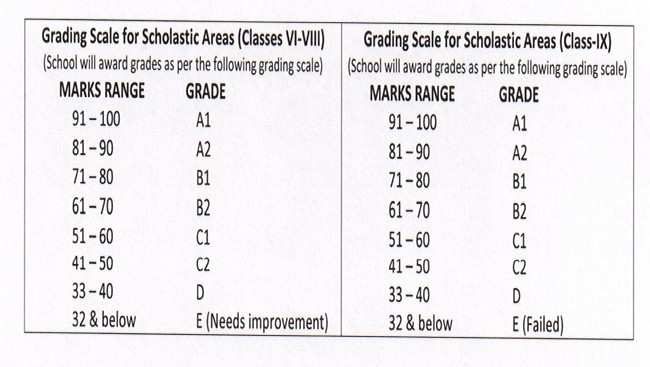 Grading will be carried out separately for scholastic (academic) and non-scholastic (co-curricular) activities. Students of classes 6 to 8 will be graded on a three-point scale in the non-scholastic activities of Work Education, Art Education, and Health and Physical Education. The factors on which they will be graded are regularity, participation, output and teamwork. Students will also receive marks for submission of notebooks. Report cards issued by all CBSE schools will need to carry both the logos of the school and the CBSE. 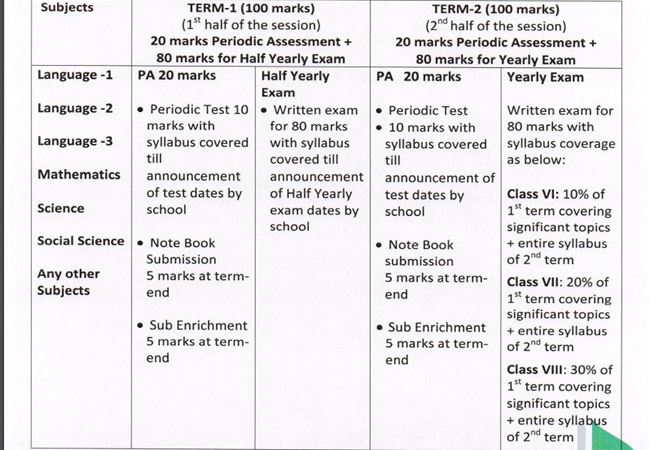 There are two type of report cards proposed by the CBSE for classes 6-8 and for class 9. official circular. what is the difference Between CCE and Uniform Accessment System. According to the CCE pattern followed by CBSE, 60 per cent of the assessment was based on pen and paper examinations, while 40 per cent of the student assessment was carried out by teachers in a continuous evaluation process throughout the year. In the uniform assessment pattern being brought in by CBSE, 90 per cent weightage will fall on pen and paper examination and this way they will be ready for the next higher classes. Why do we have only 33% marks as passing criteria?